The remaining files include more than 3,000 documents never seen by the public. After almost 54 years of questions and conspiracy theories, the world may finally learn all that was officially recorded about the assassination of President John F. Kennedy. On Saturday, President Donald Trump tweeted that, pending further information, he would allow the National Archives to release the last of the JFK assassination files. And earlier this week, he said the documents would be released Thursday. Trump didn't specify if he would allow all of the files to be opened and, should he change his mind, he has until the end of day Thursday to block the release. The Oct. 26 deadline was set in 1992, when Congress passed the JFK Assassination Records Collection Act. As president, Trump is the only person who can block the release if he deems it a risk to security, intelligence or diplomacy. The remaining files include more than 3,000 documents never seen by the public, as well as more than 30,000 files that were previously released with redactions. The files reportedly may include a CIA personality study of Lee Harvey Oswald, testimonies from former CIA officers, letters from then-FBI Director J. Edgar Hoover, as well as files on other suspected players in the assassination. This mass of documents adds to millions of pages of files released to the public since the '90s. 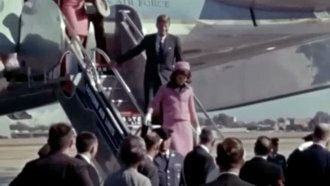 Will these new files give us definitive answers to what happened on the day JFK was assassinated? Probably not. The former chairman of the Assassination Records Review Board told Dallas News, "I don't think there are big revelations." The release of the files wasn't meant to offer major breakthroughs or feed conspiracy theories — it was meant to improve transparency and trust in the government. But Politico notes the opposite will likely happen. Instead of squashing conspiracy theories, the release of the last files may just exacerbate them.